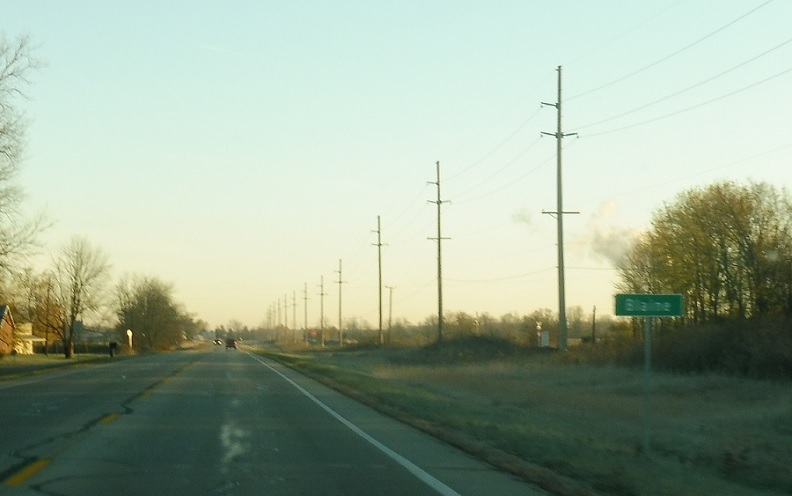 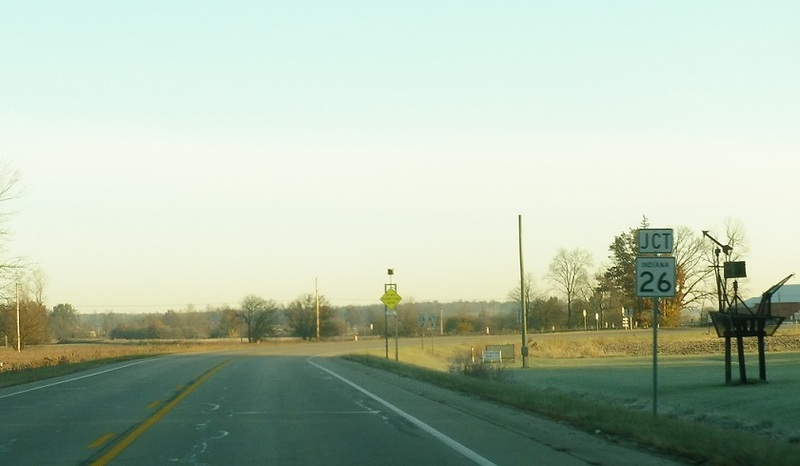 Reassurance shield after the Indiana 1 junction. 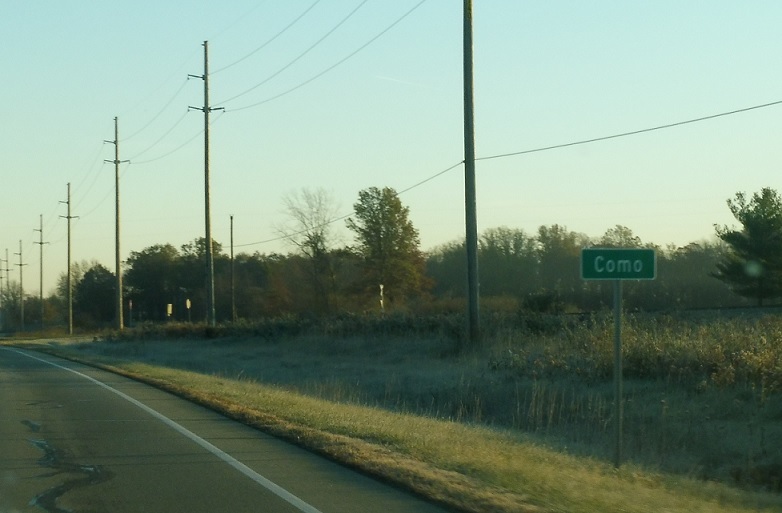 A few miles later, we’ll pass by unincorporated Como. 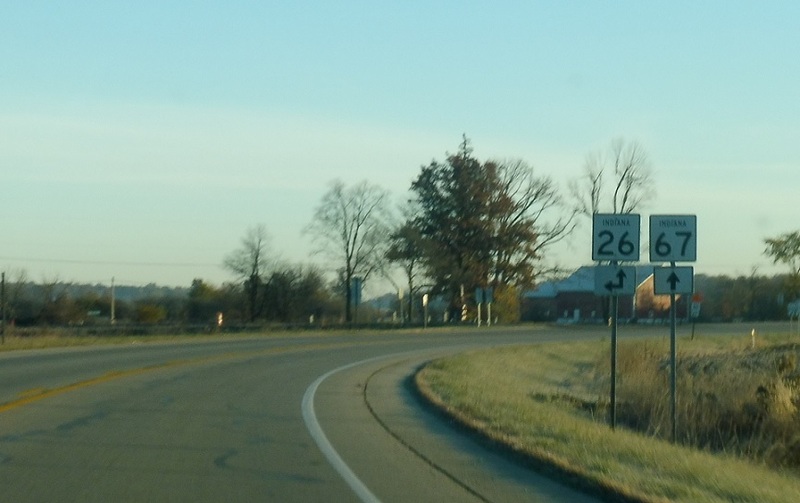 Shortly after that, on the west side of Portland, we’ll approach Indiana 26. 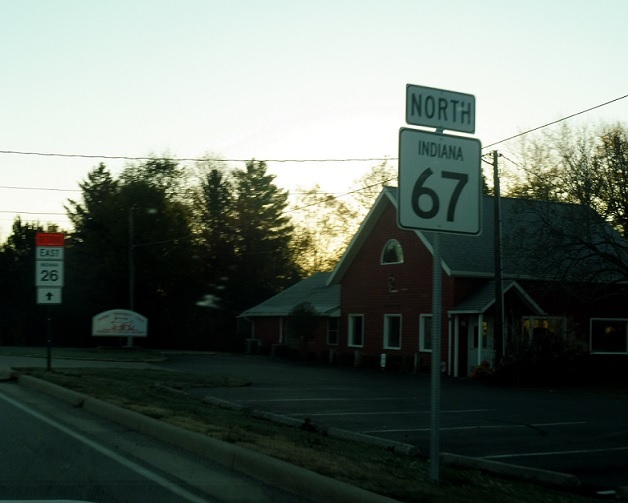 Follow 26 east and 67 north into Portland. 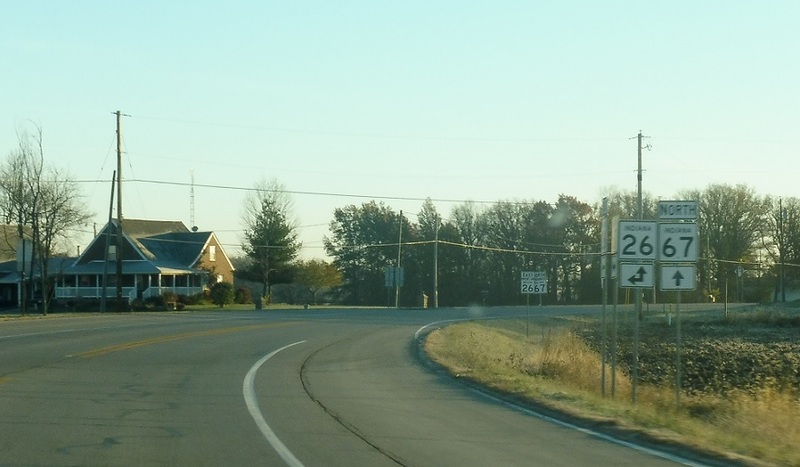 Turn left for 26 west.